When you compare Paul’s Run to nursing homes in Philadelphia, PA, you’ll see how much more value and service our retirement community offers. After reading our FAQs, you may want to learn more. A continuing care retirement community provides the assurance that, in addition to independent residential living, you or your loved one will have access to continuing health care services. Rehabilitation, Skilled Nursing and Personal Care are available, should the need arise. 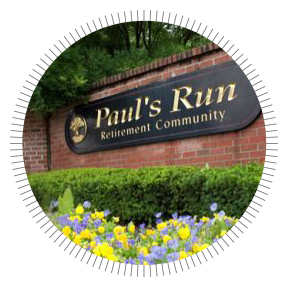 Paul’s Run is part of the Liberty Lutheran family of services, a faith-based, mission-driven, not-for-profit provider of senior living residences and health care services. Our continuing care agreement is a commitment to provide care and services to the resident, under the terms of the contract, for the remainder of the resident's life. What levels of care does Paul’s Run offer? Our specially trained staff provides individualized health care while encouraging the highest levels of independence. Our Continuing Care Retirement Community (CCRC) is a place where you or your loved ones can live with confidence and security. In addition to our 120-bed long-term care center, Paul’s Run offers a range of care options, from Independent Living and Personal Care to Skilled Nursing, Rehabilitation, Respite Care and Hospice Care. At Paul’s Run, you can surround yourself with just the right amount of care. Is Paul’s Run close to area hospitals and medical offices? 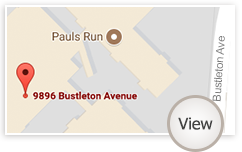 Paul’s Run is located near excellent specialty hospitals and physician’s offices in the Philadelphia area. You can keep your own doctor, if you prefer. Our medical staff is on call 24/7 and our home care specialists visit residents in their homes. We will consult with your physician, whenever possible, in case of an emergency. A not-for-profit Liberty Lutheran senior living community incorporated by Lutheran Retirement Homes, Inc., Paul’s Run opened its doors in 1981. Liberty Lutheran is a human services organization with over 20 locations serving more than 61,000 individuals and families every year. What is the advantage of a nonprofit community? As a nonprofit community with a faith-based mission of service, we are not charged with returning a profit to our investors. Instead of paying dividends to stockholders, we are able to reinvest the proceeds over and above the cost of operation into enhanced services for our residents. 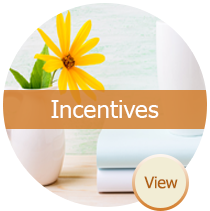 We are a 501(c)(3) public benefit corporation, which confers tax advantages. 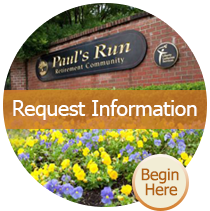 What types of residences are available at Paul’s Run? Independent Living residences include studio, one- and two-bedroom apartment floor plans. Private and semiprivate accommodations are available in rehabilitation, personal care and skilled nursing residences.